Video courtesy of ther2h.com. Pick up their audio guide before you drive the Road to Hana. The Road to Hana is a twisty, beautiful road that runs along the coast of Hawaii connecting travelers from Maui to the small town of Hana. Explorers have the opportunity to view breathtaking cliffs, beaches, waterfalls and tons of rainforest along the way. Although the drive is notorious for its sharp turns and somewhat dangerous one-lane bridges, a smart driver who takes his or her time should be perfectly safe on this exciting journey. 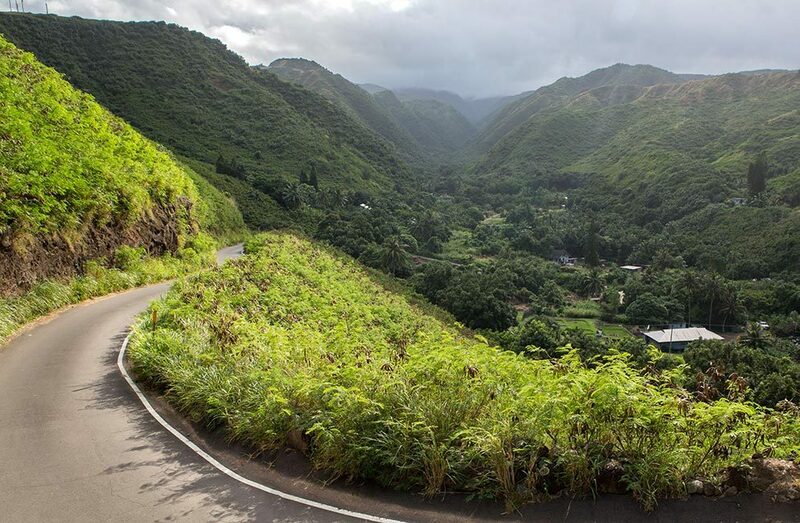 Beat the Crowd – Don’t sleep in, the Road to Hana is worth planning for a full day of adventures! If you get an early start, preferably before 7 a.m., you will be well ahead of other tourists! We recommend stopping in the town of Paia, the last substantial town before Hana, for gas, breakfast, and other trip supplies! Be Prepared – The Road to Hana is a long and windy adventure filled with beautiful sights, but it can be a bit exhausting. Prepare yourself with snacks, Dramamine (for car sickness) and plenty of bottled water. Dress comfortably and bring a bathing suit in case you decide to take a dip in one of the gorgeous waterfalls along the way! Don’t forget some bug spray to protect from those nasty insects and an umbrella/poncho in case of rain! Take your time – Although the drive can be done in about 2.5 hours nonstop, we advise breaking at all of the sights you hope to enjoy along the way. Some of the best include the Twin Falls Waterfall, Waikamoi Nature Trail, Keanae Peninsula and the caves and blowholes at Wai’anapanapa. You can find many other stops in several Road to Hana tour guides. Support the Locals – The Road to Hana is very much a cultural experience. Don’t be afraid to stop at a fruit stand to try a snack or two along the way! The local tropical fruit is truly delectable. Also, be courteous of locals and pull over if you are holding up a long line of cars. Stay in Hana – Hana is small, remarkable and off the beaten path. If you wish to steer clear of the tourist hustle and bustle, we recommend staying for at least a few nights. Travaasa Hana offers an array of cultural activities; Try a Hula lesson, Throw Net Fishing Tour or go horseback riding along the water. Without a doubt, a few nights stay in Hana will allow you the experience of real Hawaii you have always dreamed of.